There's little wonder why trainer Cindy Alderson can hardly wait for next month's Group 1 Schweppes Oaks in Adelaide with her filly Sizzleme. The 2000-metre classic on May 5 has been the target for Sizzleme since rising to that trip last spring with a third placing in the G3 Ethereal Stakes behind Verry Elleegant and Aristia, before beating the former when a close-up fourth in the G2 Wakeful Stakes behind the eventual Oaks winner Aristia. On Saturday Sizzleme tackles the traditional lead-up to the Oaks when she runs in the 1800-metre G3 Auraria Stakes, coming off an eye-catching second at Mornington. "I thought she ran really well behind Mr Quickie and I think the 1800 (metres) is perfect for her," Alderson said. "We trialled her yesterday and she was really impressive. "Zac Spain will take the ride and he came down and rode her in the trial and was really happy with her and he says he was glad he came down to have a gallop on her before the race because she's a filly who needs to have someone who understands her to get the best out of her. "But she's done extremely well and I'm very confident she will acquit herself well." Alderson said the barrier draw often has a bit to say about Sizzleme's upcoming performance. "She does need things to go her way in her races," she said. "The worst barrier for this filly is barrier one and I think she's drawn it six times so she's certain beating the odds in that respect. "She needs a bit of clear air and galloping room and Morphettville is the type of track that affords that so as long as there are not any really strong fillies in the race, I think she's got a really good chance." The Cranbourne trainer said the filly had enjoyed a good preparation for her main goal but was still ready to turn in her best performance this Saturday. "She's pretty forward," she explained. "She's a very, very good doing filly. She always does well in the stable and looks great. (Her) coat's immaculate at the moment and I think the trip away will tighten her up and the 2000 next start will really be right up her alley." 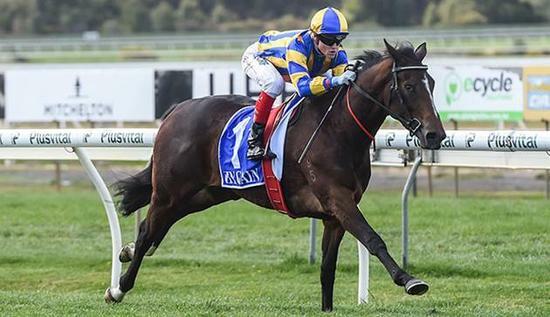 Alderson also has her reliable six-year-old O'Lonera up to 2400m at Caulfield on Saturday and said she felt the winner of more than $500,000 in stakes was ready to add some more to the total. Alderson said the horse may have only run eighth last Saturday behind Our Libretto but that was over 2000m and he was only beaten just over two lengths. "I thought he ran well last Saturday," she said. "He's getting a little older now. He got a few miles on the clock so it probably looked like he wanted the 2400 (metres) and Zac Spain felt that too."